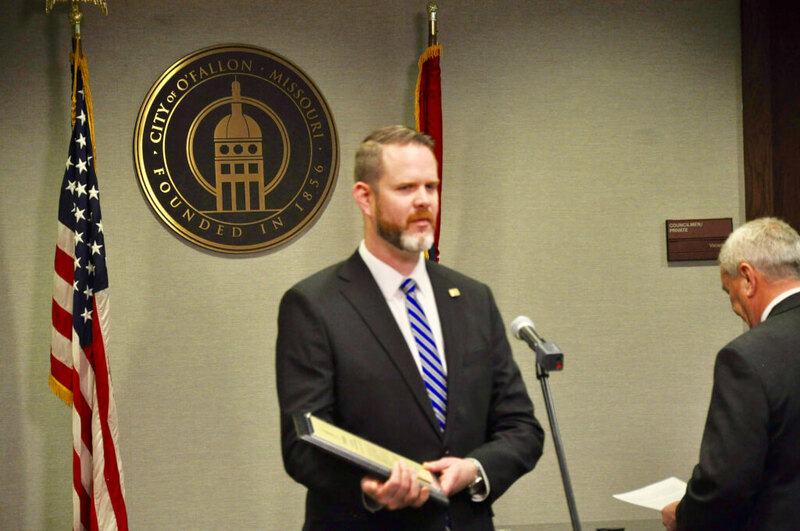 John Baue Devaney, Fourth-Generation Vice President of Baue Funeral Homes, Crematory, and Cemetery accepted the O’Fallon Business of the Year Award on Friday, January 5, 2018, from O’Fallon Mayor, Bill Hennessy and the City Council of the City of O’Fallon, Missouri. 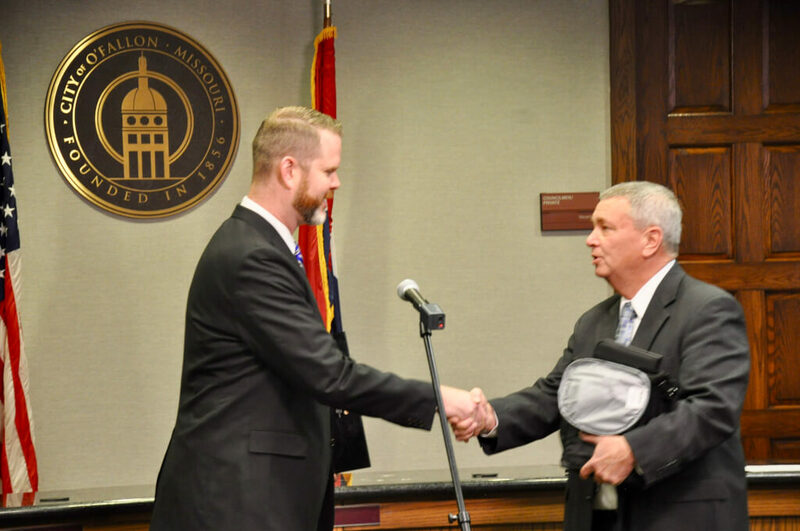 The O’Fallon Chamber of Commerce & Industries awarded Baue for their service for more than 80 years to the community and their efforts to continue to go above and beyond the call of duty. Baue offers innovative programs to O’Fallon residents including the Hospice Caregiver Award, Silver & Gold 60+ Social Club, and Grief Support including their Grief Comfort dog Teddy, and the Center for Hope & Healing. Wh ether it be through supporting the Salvation Army, Hurricane Harvey relief efforts, the EDC Business & Community Partners, or the Athena Leadership foundation, Baue remains committed to giving back to the communities they serve. Established in 1935, Baue has grown from one funeral home to four funeral home locations and St. Charles Memorial Gardens Cemetery. All Baue locations offer a wide range of unique services for families, including Baue Pet Services, Center for Hope & Healing, Silver & Gold (the County’s largest senior club), and most recently the fourth funeral home, the Baue Care & Cremation Center. For more than 20 years, Baue has been named the Best Funeral Home in St. Charles County by Suburban Journal and its readers. For more information on the services, Baue offers, please visit Baue.com.